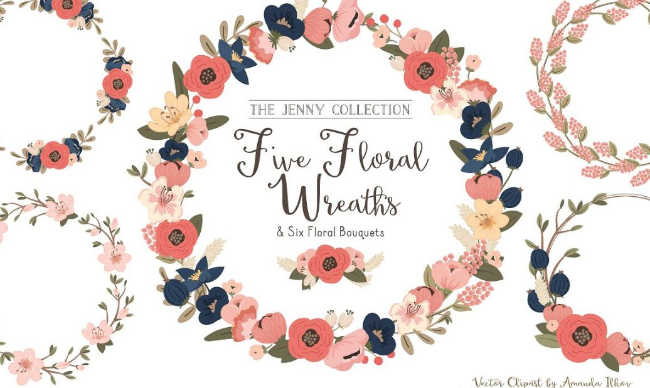 Designers all around create beautiful printable invitations or other illustrative design works with Wreath clipart designs. 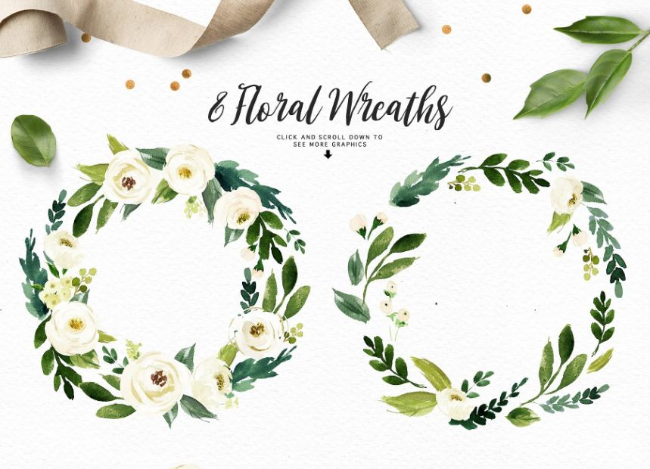 So here we have created a nice little collection of wreath designs, you can easily collect and download these wreath graphics to create your own gorgeous design works. A wreath is an special arrangement of leaves, various flowers combined in a ring and can be used to decorate many kinds of design presentations. 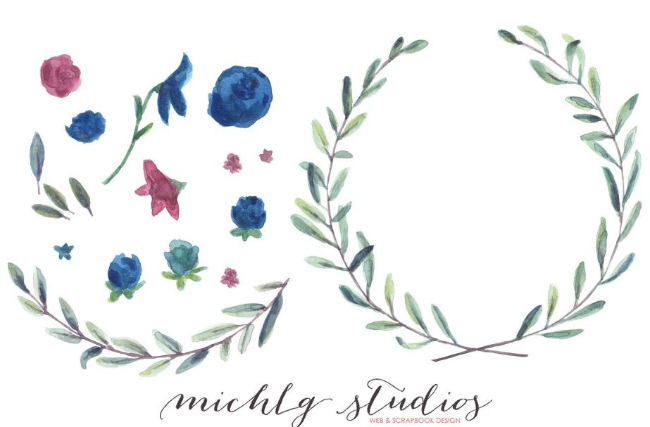 We have included quite a few variations- watercolor wreath, simple drawing, hand drawn, laurels, colorful or black and white etc. 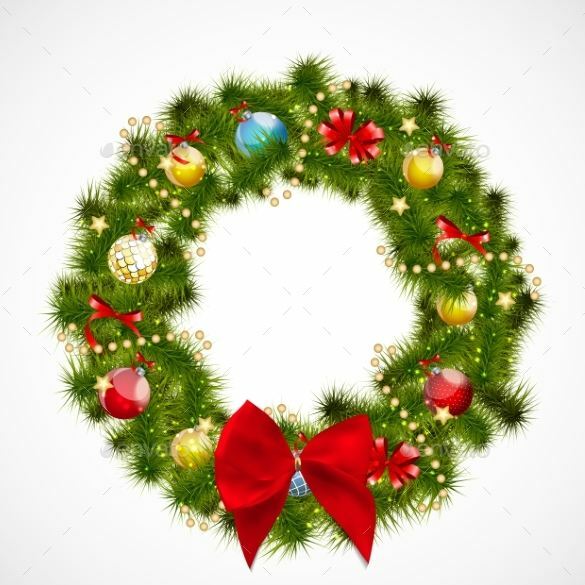 Go ahead and check out if you can find the wreaths you are looking for! 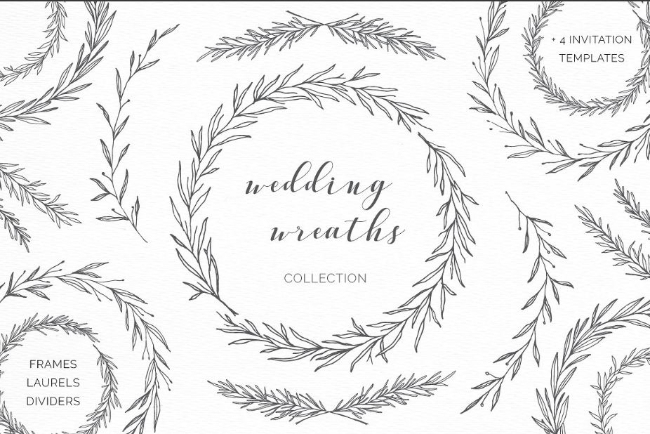 This is a cool collection of wreath cliparts which would be great for wedding related graphic designs- created by Crocus Paperi. You will find many useful elements in the download- unique branches, dividers, wreaths, laurels, crests etc. 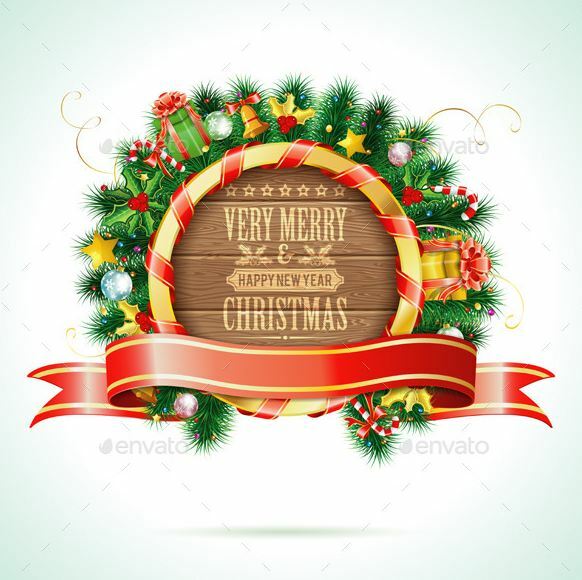 More precisely- 79 PNG image files with separate illustration of wreaths, 70+ vector illustrations and 4 invitation templates (as AI files). 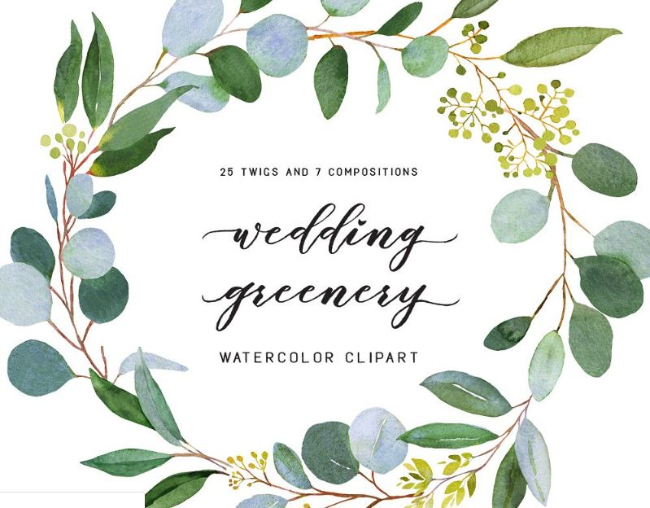 A nice set created by Twigs and Twine, it’s a great pack which includes all sorts of watercolor flower clipart, and contains a good deal of watercolor wreaths. 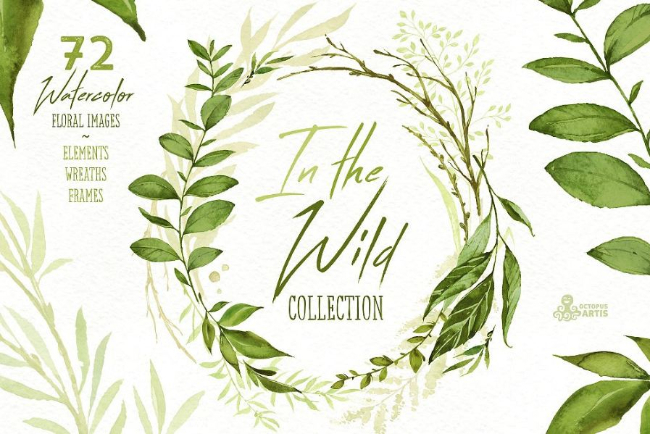 This artistic collection is designed by IttyBittyPaperCo. 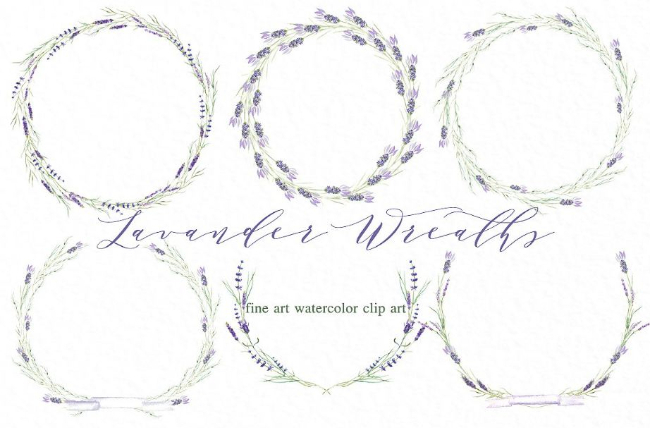 A charming bundle of hand drawn wreaths and laurels, designed and drawn with passion. A good option for your next design project. 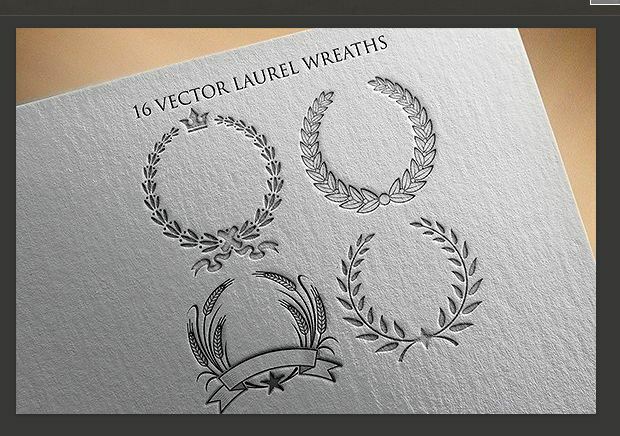 Easily change the color of the wreath or laurel elements in Photoshop or Illustrator. 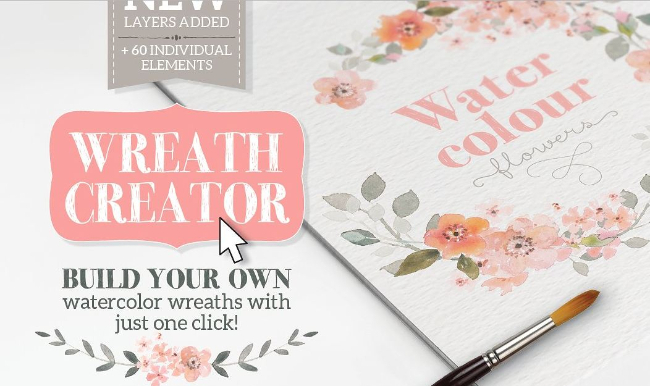 Yes, take things in your hand, create fabulous watercolor wreaths all by yourself with this super easy to use watercolor wreath creator. 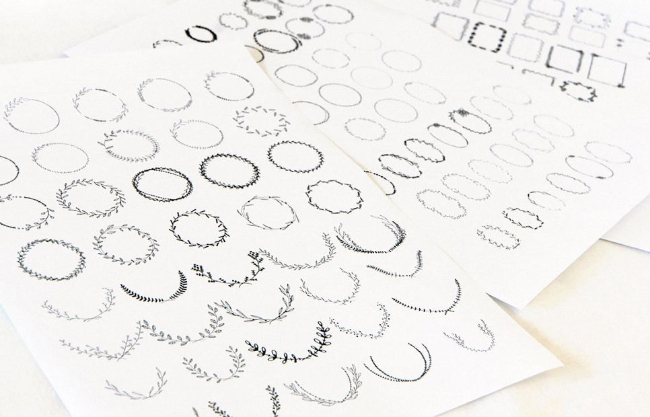 Design fantastic wreath graphic designs with this DIY set from Lisa Glanz. 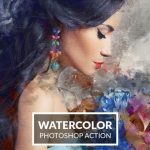 Use the Psd file in Photoshop to edit the elements or use already created designs in PNG image files if you are not comfortable with Photoshop. 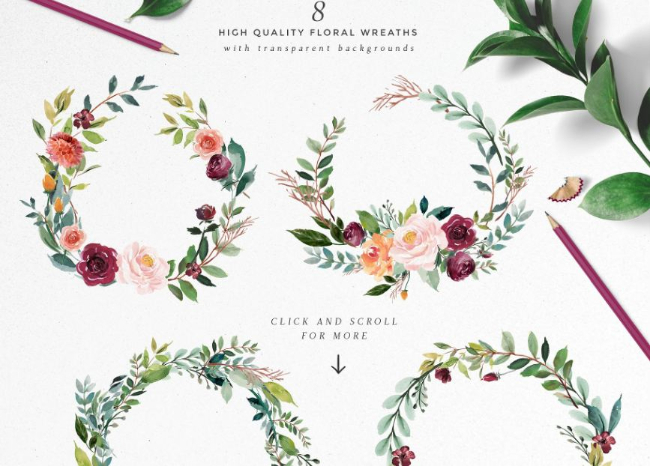 A fantastic pack of 65 Wreaths and 15 Laurels- create beautiful design works with these cliparts. Decorate photos of loved ones or create invitations to print or for web. 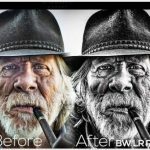 Both PSD files for Adobe Photoshop and high quality Png files are included in the download. 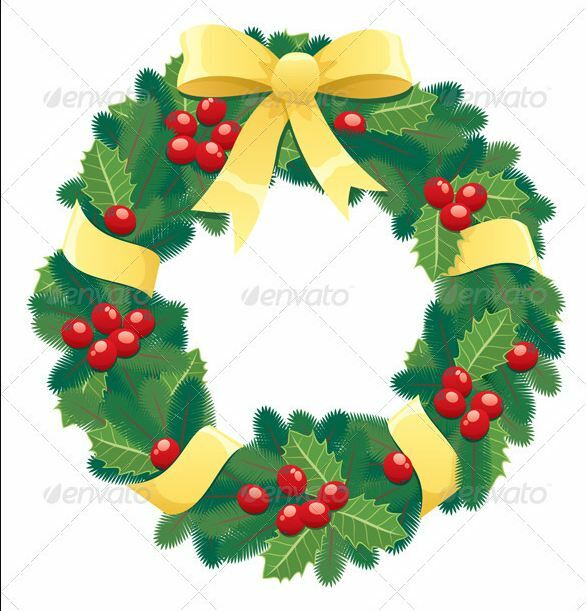 Download high quality watercolor wreath cliparts, all the images are available in PNG format and minimum size is 1000 pixels with 300dpi. This set is from The Autumn Rabbit Ltd. 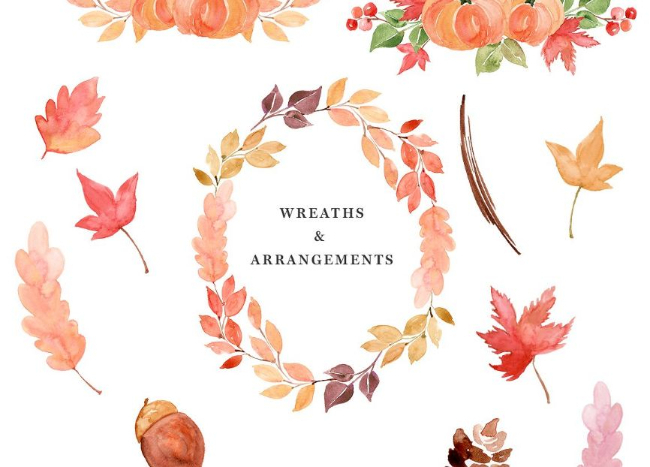 Create unique wreath designs with watercolor leaves. 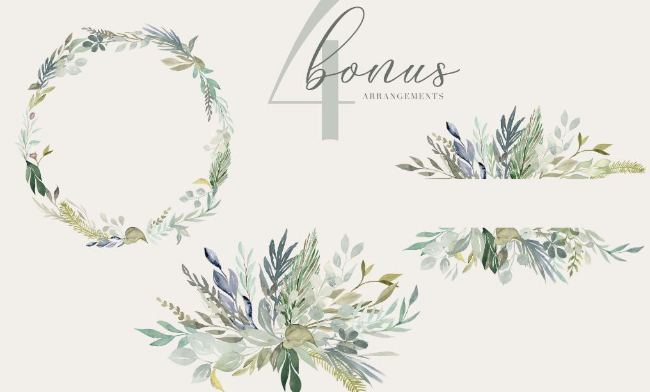 Make your own arrangements with these leaves or you can use the bonus arrangements that’s already included in the download. A very nice set from Anatartan Design. 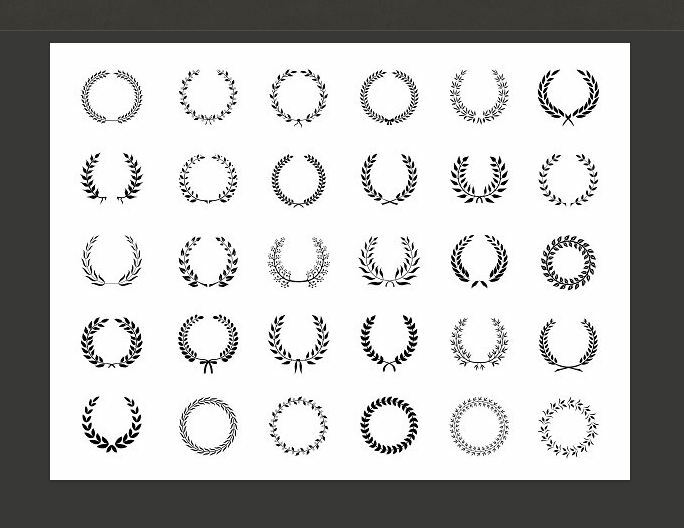 Create black and white wreaths or color them as suited for the design projects in your hand- make golden, blue or red wreaths in minutes in Adobe Illustrator. 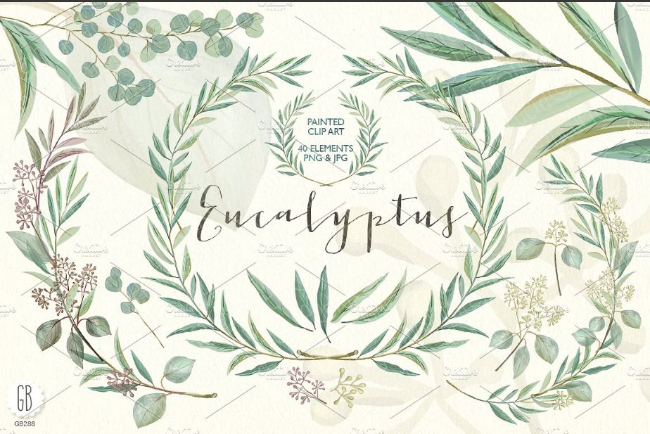 You can use these botanic elements to design digital stationery products, invitations, greeting cards and many more. Download includes vector files for Adobe Illustrator and high quality PNG image files. A huge pack of nice hand drawn wreath vectors designed and created nantia. 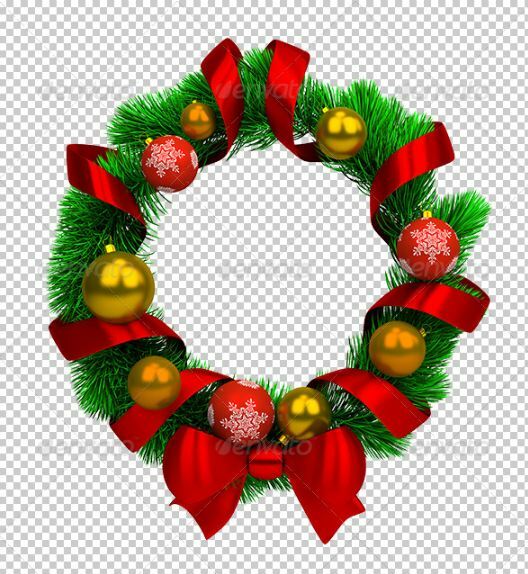 This pack contains wreaths with all four different shapes-, oval, rectangular, square and circle; use them as a unique frames for your graphics. A all in on collection, also includes 8 watercolor Flower wreathes. Designed and presented by Graphic Box. 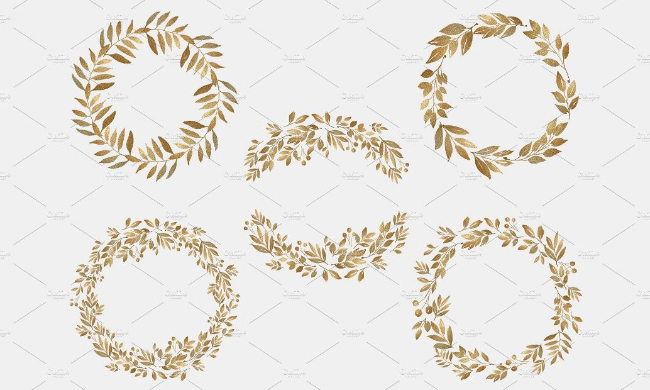 A good pack of eucalyptus wreath clipart designs from GrafikBoutique. This Download contains 41 Png files and 41 Jpg files in 300 dpi so that you can print in high quality outputs. 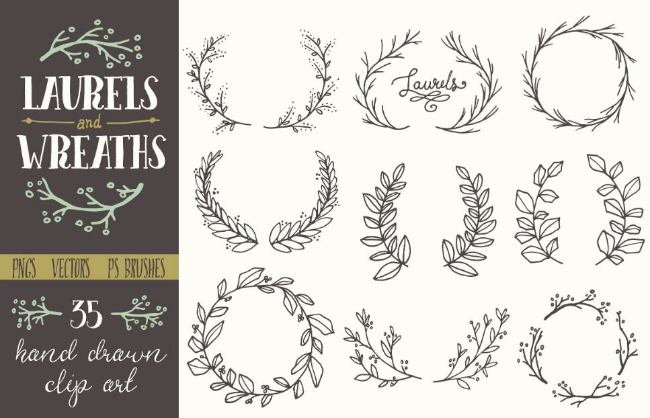 A quality wreath clipart pack designed by Awa Marc. 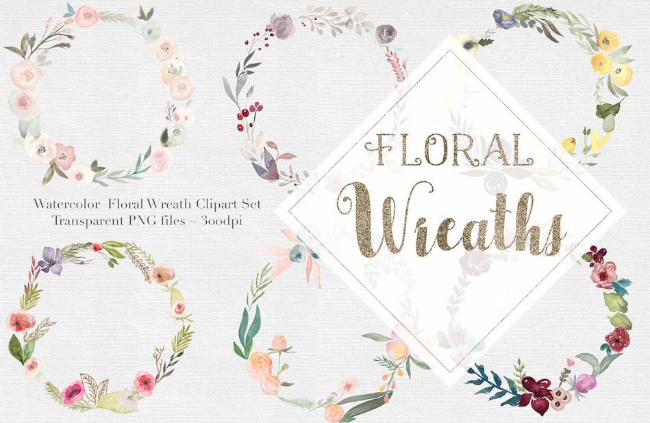 It includes 5 wreaths and 4 seamless patterns with 300 DPI resolution. 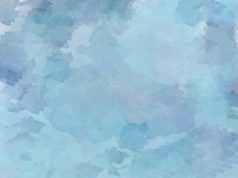 Are you designing a heart warming Christmas illustration? Then this watercolor Christmas Wreath can add a nice touch to your design’s Christmas spirit. 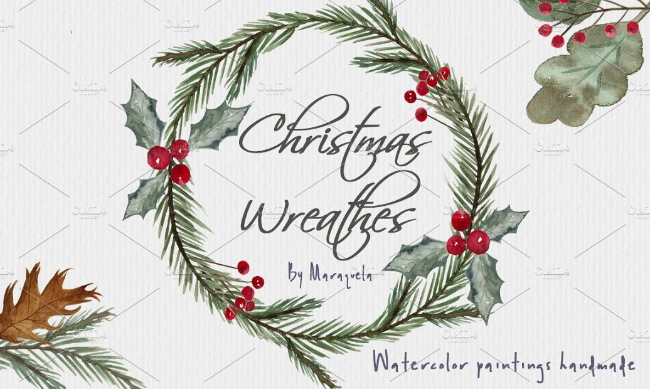 This beautiful Christmas design element pack is created by MaraquelaStudio, with the Christmas in mind. 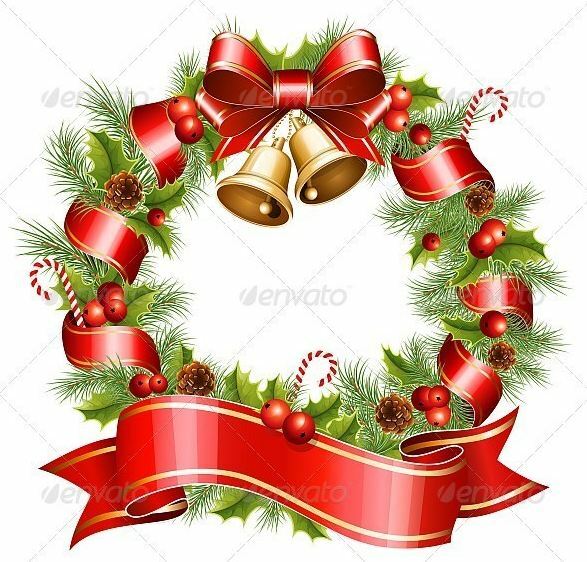 You will get 4 elegant Christmas wreaths and 20 different clipart elements with the download. 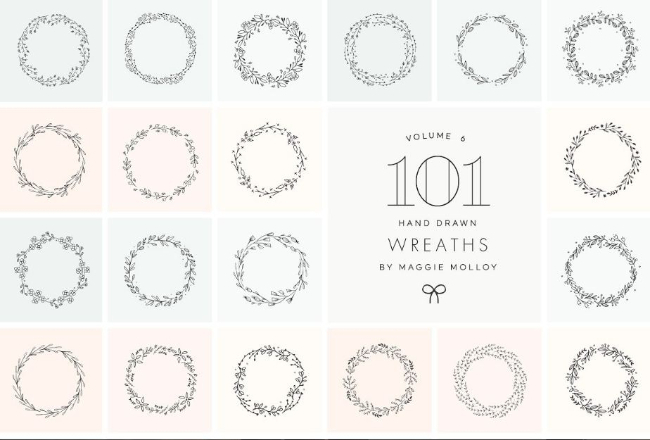 A massive bundle of Hand Drawn Wreaths from Maggie Molloy.  Both EPS and PSD files are included in the download, you can edit and create fabulous new arrangements with the provided clipart elements. 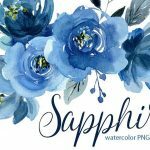 This volume one Includes six unique hand painted wreaths in watercolor, from The Autumn Rabbit Ltd. 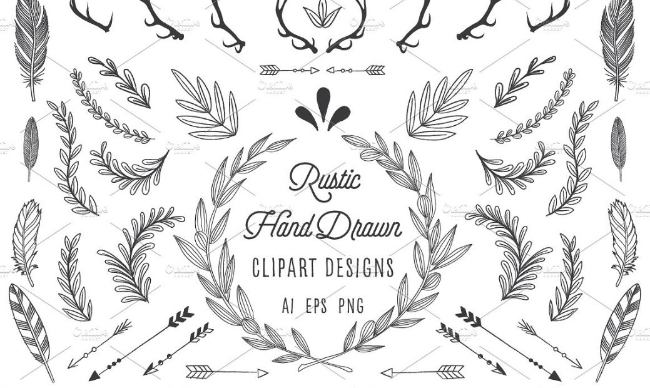 This cute set made by BirDIY includes 27 hand-drawn elements with rustic design. 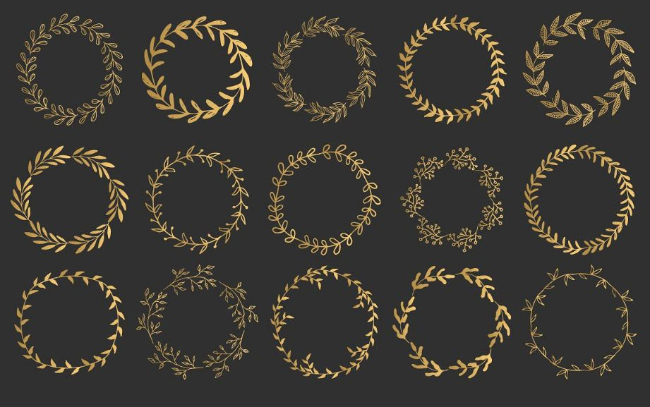 A very good hand drawn Vector Collection of Round Wreaths made by FourLeafLover. 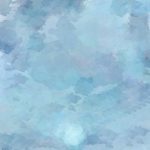 Hope you found this collection useful!